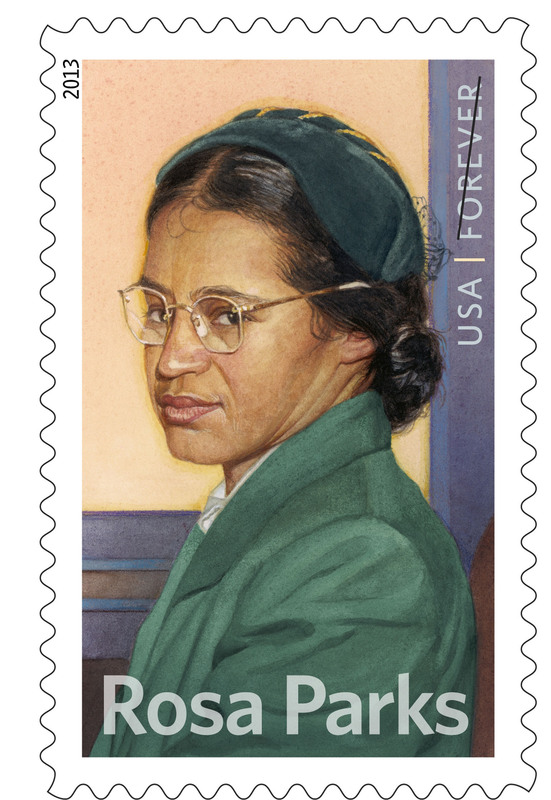 The Rosa Parks Forever Stamp goes on sale today at Post Offices nationwide, and can be purchased online at usps.com/stamps. Joining Stroman to dedicate the stamp were Patricia Mooradian , president, The Henry Ford Museum; Carolyn House Stewart , international president, Alpha Kappa Alpha Sorority, Inc.; and the Spain School of Excellence Concert Choir. Honored guests were Sen. Carl Levin , Reps.John Conyers and Gary Peters , civil rights activist Julian Bond , and Elaine Eason Steele , co-founder, Rosa and Raymond Parks Institute for Self Development. The National Day of Courage was established to encourage every American to take a stand and commit themselves to do something courageous just as Parks did Dec. 1, 1955, when she refused to give up her seat to a white man on a Montgomery, AL, city bus. That singular act of courage helped spark the civil rights movement and a new era in the American quest for freedom and equality. Earlier in the day, a special ceremony was held to preview the Rosa Parks stamp at the Charles H. Wright Museum of African American History in Detroit. In 1987, Parks co-founded the Rosa and Raymond Parks Institute for Self Development in Detroit to inspire young people to behave in a socially responsible way. 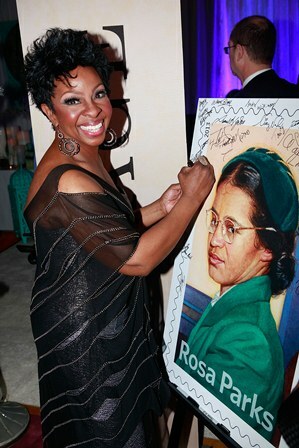 The stamp was also previewed at the NAACP Image Awards. Rosa and Raymond Parks Institute for Self Development. I was there and was inspired. That a truly wonderful speech that Mr. Bond gave. Is there any way I can get a copy of it? What an honor to be there! Julian Bond is so amazing! It would be great to get to read his remarks. I’ll look into that.